Phil embarks on what will be his busiest motor racing season in his short career when the British teenager makes his Rolex 24 At Daytona début this coming weekend (27-28 Jan). The 2016-17 Asian Le Mans Series LMP3 champion contests his maiden race for United Autosports and lines-up in a star-studded driver roster. Phil, who became the youngest overall finisher in the legendary Le Mans 24 Hours by claiming 11th last June – ninth in LMP2 – shares a Ligier JS P217 sports-prototype with Spain’s double former F1 World Champion Fernando Alonso and McLaren F1’s 2018 official test and reserve driver Lando Norris for the twice-around-the-clock marathon in Florida. Eighteen-year-old Phil, from Sunningdale near London, contested six events last year and despite not having raced since last August, is nevertheless in tip-top physical and mental condition. He is also well-honed to the LMP2 class Ligier having clocked up almost 4,000 miles in testing over the past six months. Despite only starting his motorsport career in 2014, he begins the annual American race on Saturday at 2.40pm (local) with far more experience of the sportscar category than single-seater specialists Alonso and Norris put together. Indeed, the Daytona race marks Phil’s second career 24 hour race while Fernando and Lando will both be experiencing their first while also racing a sportscar for the first time. Phil’s only previous race in America was a kart event in Las Vegas almost three years ago and had never even visited Daytona Beach, situated less than 100miles northeast of Orlando, until contesting official tests for the high-quality 50-car field earlier this month (5-7 Jan). Phil clocked up 75 laps around the 3.56-mile Daytona International Speedway circuit comprising of the NASCAR tri-oval and an infield road course at the three-day test. 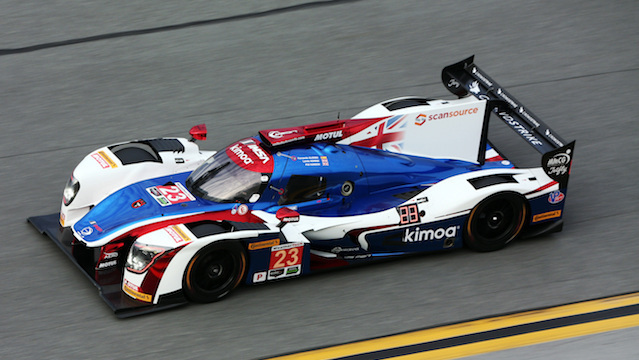 Phil, who flew back to Daytona on 21 Jan, headed to the West Palm Beach circuit - 200miles from Daytona - on 22 Jan to “shakedown” both his and the team’s “sister” Ligier. He continues with practice tomorrow (25 Jan) followed by a 15mins qualifying session to set grid positions in the afternoon (4.45pm). The 56th running of the Daytona race is scheduled to begin on Saturday at 2.40pm. I start every race to win and Daytona will be no different despite my lack of [Daytona] track experience and taking into account the incredibly high quality of drivers and teams combined with the size of the entry. That said, a podium result will be very tough to achieve. We struggled a little in terms of outright pace at the Roar test earlier this month because brand new aero was fitted to the Ligier for the first time and we were running on tyres we don’t use in Europe. But the engineers have been analysing the data that was accumulated and I’m certain that we’ll have found some time compared to our rivals when we go back out on track this week. 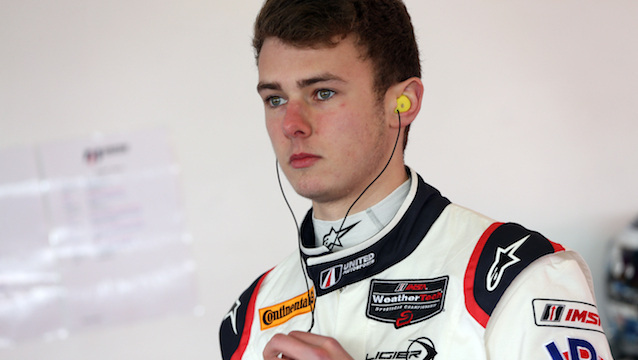 It’s my first race with United Autosports and I’m sharing the Ligier with two incredibly fast guys. Fernando needs no introduction while Lando has been on a rigorous programme and has a great future in single-seaters and we all immediately gelled together at the Roar. From the moment last year that I knew there was a chance of racing at Daytona, I began to prepare my fitness in the gym. That aspect was one of my strengths at Le Mans and I hope to repeat that kind of performance. Although it'll be my first race since last August, the thorough test program I’ve been taking part in with Onroak and United has prepared me well. Le Mans is the pinnacle of sportscar racing but Daytona is also world renowned and has its own unique atmosphere which I’m looking forward to experiencing.